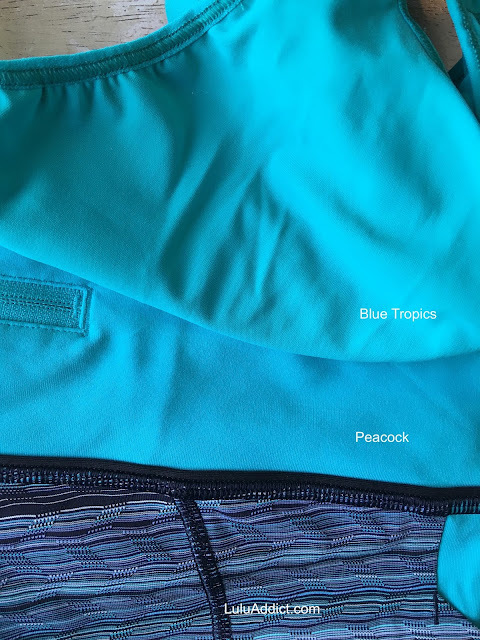 A reader asked whether she should get the Peacock Blue 5 Mile LS if she already owned the Cosmic Teal Mesh With Me LS so I thought I'd post this comparison photo I took a couple of weeks ago. 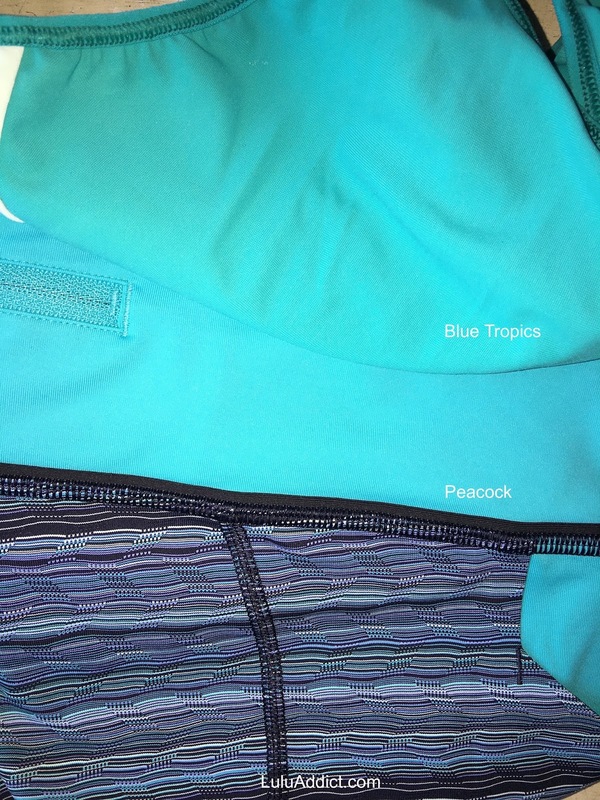 Also shown is a Heathered Blue Tropics 105F Singlet. 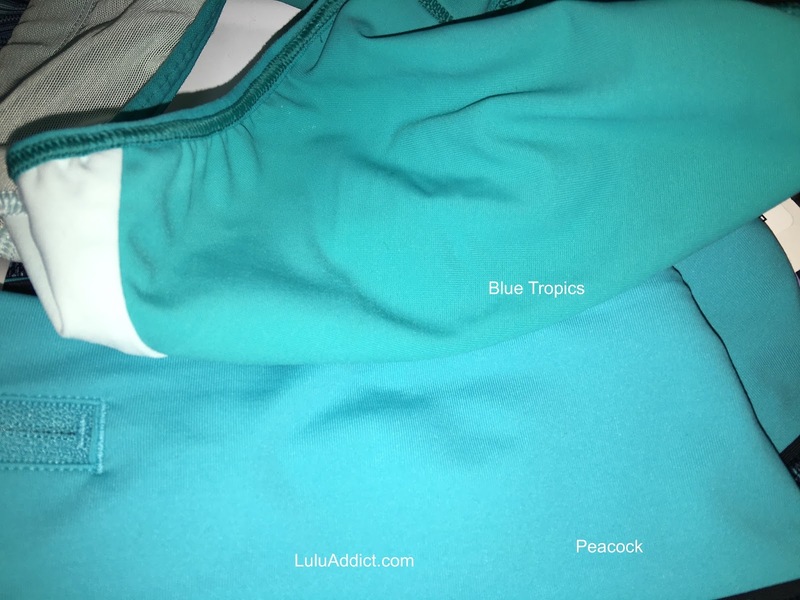 Blue Tropics looks the same as Peacock Blue in the Seriously Light Luon fabric. Thanks! Great to see. Flash or no flash, looks like blue tropics has a bit more yellow in it i.e. looks slightly greener. 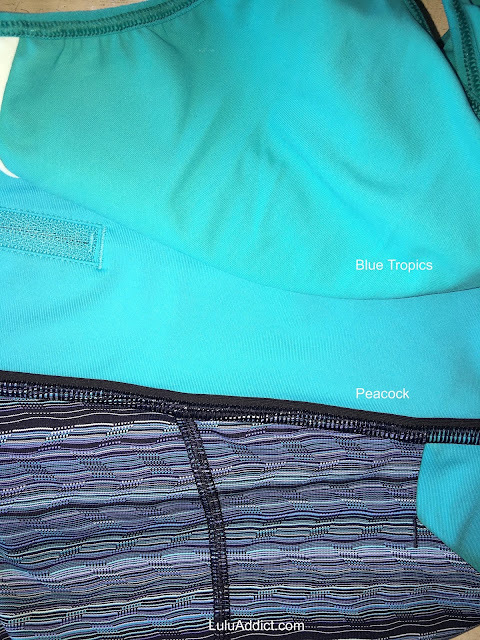 I still think blue tropics and peacock are so close - close enough that if you have a singlet/crb in one of them you don't need another singlet/crb in the other color. I don't like to double up on colors though - I typically have one pink, one purple, one teal, one light blue, one dark blue, gray, black, white, red and orange then i'm set and don't buy anymore or buy the same colors lighter or darker. I know. I'm weird. At least it keeps the CRBs/Swiftlies/105's under control (and doesn't wipe out the bank account!) Lol! @12:37 - It' not weird! I try to do the same thing. No need for multiple teal tanks, or pink bottoms for that matter! 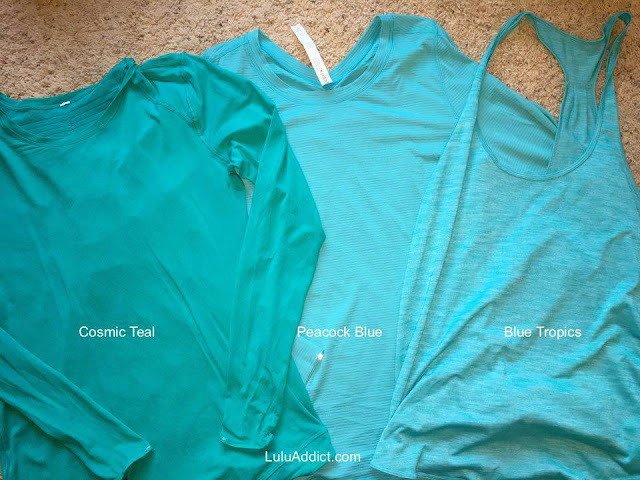 Now I will get a lighter green, like faded zap, and a darker green, like green bean, since they are so different. But blue tropics and peacock are so close, you'd need to see them next to each other to tell them apart. 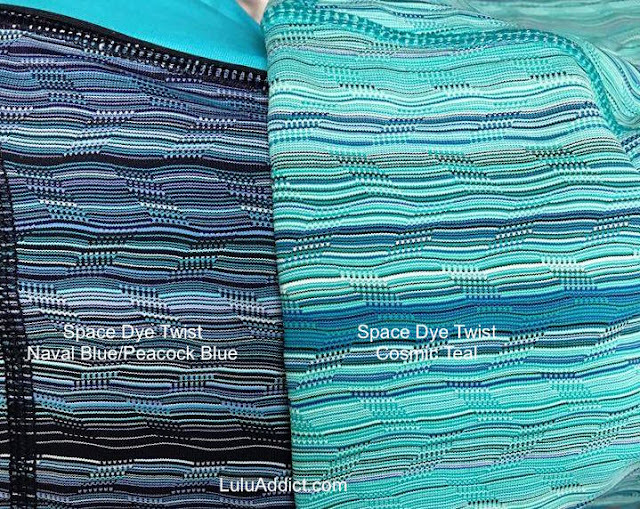 thanks for this - I have the fresco blue LS Swiftly - and when I had the Swiftly in heathered blue tropics and heathered peacock next to it, as well as the real teal from last winter - I realized that the Blue tropics and peacock were quite close in colour range that I ended up returning the heathered tropics and peacock - good thing my store allows returns after months LOL I agree, I can't justify getting similar colours - I already have so many CRBs and swiftlys - that I might wear once or twice a year to get everything into my rotation.....my wallet needs a break! Thanks so much for the comparison. I love your blog and appreciate the time you dedicate to it! !